Franki Parsons focuses her practice on corporate and transactional matters and is located in Dinsmore's Charleston, WV office. As a former vice president and senior wealth adviser at United Bank, Franki brings unique experience to her role. She has more than a decade of experience working in public finance, including time spent as in-house counsel to a state agency, a bank and a city. These roles, along with time spent working at two large law firms, netted her experience on all sides of public finance transactions. She also advises clients on trust and estate planning, assisting them with their long-term investment goals. Franki started her career in Charleston’s West Virginia Development office working on a successful Tax Increment Financing (TIF) task force for the passage of a constitutional amendment, and then administering the development office’s approval process. 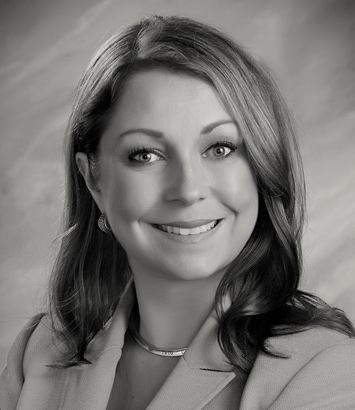 She then joined Jackson Kelly PLLC and served as outside general counsel to the West Virginia Water Development Authority and the West Virginia Housing Development Fund. She also worked as bond counsel, underwriter’s counsel, issuer’s counsel and lender’s counsel in public financing transactions involving infrastructure, housing, airport, higher education, hospital, TIF and sales tax increment financing matters totaling roughly $2.5 billion over three years. Franki also worked as assistant city attorney of Leawood, Kansas for seven years, serving as counsel to the planning and development and building and codes enforcement departments, before returning to Charleston in 2014. Her past experienced has prepared her to handle any facet of a public financing deal, but Franki also understands a bond lawyer must be as familiar with their community as they are with the law. People want to know that the attorney responsible for handling multi-million dollar deals understands what such deals mean for the region and its residents. Franki makes that commitment and knowledge a part of each deal she works. Her personal approach also extends to clients planning for their family’s future. Franki realizes trust is earned and she values fairness and honesty when working with her clients regarding their needs. Building those relationships ensured her success advising clients at her previous role as a senior wealth adviser, and Dinsmore gives her a network of attorneys she can tap to help her clients no matter their legal needs.